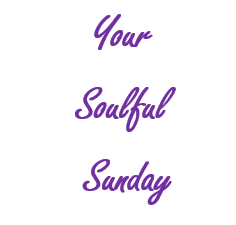 As our weekly series, Your Soulful Sunday continues, enjoy this article from Brad Stulberg and Medium. When we speak about resilience, we often think of “bouncing back.” This implies rebounding to how things were prior to experiencing adversity. This definition may be fine for minor challenges, but it’s unproductive for more serious ones. First off, it sets a pretty high expectation. If you don’t meet it, you’re likely to be disappointed. Sometimes you physically can’t bounce back, like in the case of chronic illness or the death of a loved one. If you lose a limb — literally or metaphorically — you won’t ever be the same as before. Trying will only leave you down and dejected. It’s highly distressing to carry with you fear, pain, and uncertainty. But it’s even more distressing trying to repress or forget those feelings. Second off, bouncing back is limiting. It says that there is a “back” to which we should bounce; some ideal, perhaps more comfortable, place. But this fails to acknowledge the significance of the adversity itself. It’s as if you are trying to delete it from your life. In my own experience, this doesn’t work. Yes, it’s highly distressing to carry with you fear, pain, and uncertainty.